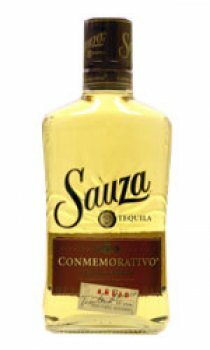 Sauza Commemorativo, part of this Sauza Tequila Family, is produced from the finest blue agave for incomparable taste, quality, authenticity and is aged in oak barrels for up to four years. This extra aging gives Sauza Commemorativo super-premium anejo tequila it's uniquely smooth taste and texture. It's aroma is of authentic agave notes, complimented with the perfect balance of sultanas, raisins, caramel and oak. This is a classic, oak-aged tequila, with smooth vanilla and authentic agave for the incomparable margarita. Well worth paying a small amount more for such a massive difference in quality to standard mainstream brands. Completely changes people\'s opinions of tequila once they\'ve tried this. Great value. This tequila was reccomended to my by a friend in the State who described it as the cheapest good tequila he'd hever had. While it's a fair bit more expensive than Jose and Sierra, it is so much better. It has a complex flavour, with a woody aftertase (rather than the overwealming salty flavour you get with cheaper tequilas). It is a smooth tequila and I quite enjoy sipping it neat. Definitely the best tequila I've ever had.